I have toured a variety if ships over the years. 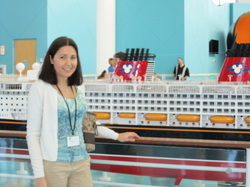 Part of being an informed travel professional includes visiting and experiencing the ship themselves. See below for an extensive list of ships toured, then locate the ship tour you are interested in from the drop-down menu above to view photos and information.